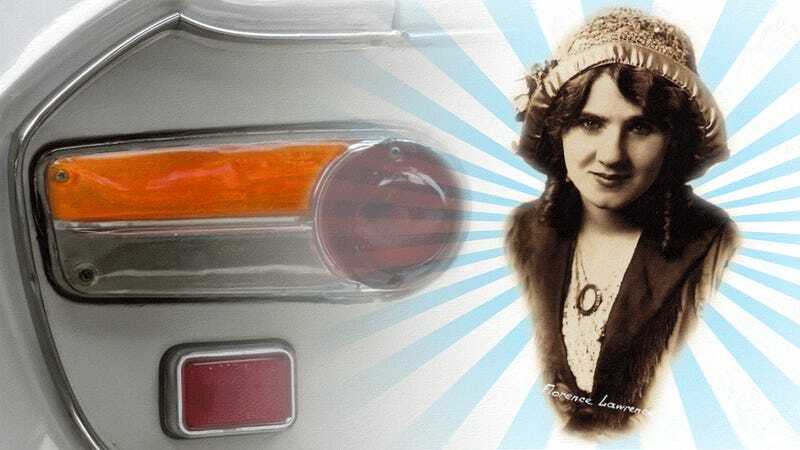 It’s International Women’s Day, so it seems like a good time to give some attention to one of the under-appreciated heroines of motoring: Florence Lawrence, possibly the first real silent movie star and the inventor of a turn-signaling device and a stop-signaling device. Chances are most of you are probably not able to find Elusive Isabel or The Unfoldment on Netflix, even Netflix Silent if that existed, so you may not be aware of Lawrence’s extensive film career. In the early 1900s, she was a big deal, and was even the subject of a very early form of fake news, as a film company she worked for staged a hoax that said she was killed in a streetcar accident. That’s all fascinating, sure, but we’re here to talk about cars and eat grilled pheasant, and I’m not even sure I know where to get any pheasant. Lawrence’s father was a carriage-maker, which I suppose is the late 1800s equivalent of having a dad who’s really into cars. Whatever the initial influence, Lawrence loved cars, and as soon as she was able to afford one of her own she bought one, thanks to being, you know, a movie star. There’s photographic evidence of her in a car as early as 1912, a Lozier open tourer. Photo: Wisconsin Center for Film and Theater Research. Also, is that an early add-on starter motor in front? Much like the trafficators that were also being developed around this time, Lawrences’ system used an electrically-actuated flag that would pop up from the rear bumper to show if the car was turning right or left. A similar device developed around the same time used the action of the brake pedal to pop up a small sign reading STOP at the rear of the car. 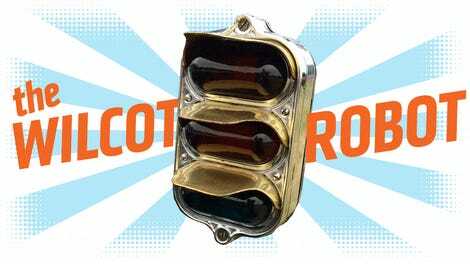 These, of course, are the basic functions of all taillights on cars today and for much of the past eight decades or so. Lawrence’s system was based on mechanical signs and flags as opposed to blinking colored lights, but the goals and results are essentially the same. Unfortunately, she never patented her inventions, and they were eventually superseded by similar products from other manufacturers. She wasn’t the absolute first to develop these, but she seems to have invented hers independently, and she was undoubtedly a pioneer. I haven’t even been able to find a picture of her mechanical signaling arm system or the stop indicator, but I’ll keep looking. Lawrence’s mother tried to get patents for her daughter’s inventions after the fact, but was unsuccessful. It also claimed that Lawrence invented an electric windshield wiper system, but was unable to patent that, either. Interestingly, it was another woman, Mary Anderson, that did end up patenting electric windshield wipers. Florence Lawrence’s film career began to wind down after injuries sustained from saving a fellow actor from a fire made it difficult to keep working. Call Dr. Wilson. I am tired. Hope this works. Good bye, my darling. They can’t cure me, so let it go at that. Lovingly, Florence - P.S. You’ve all been swell guys. Everything is yours. It’s a sad ending to an impressive life, so I’m hoping that today, as we drive around, indicating our turns (well, I mean other than the BMW drivers), we should give a little thought to Florence, a woman who really loved cars. Is there any time turn signals aren't fascinating? No. There isn't.